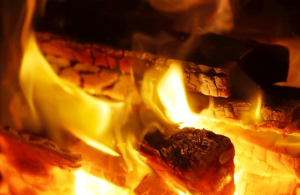 If you have a wood burning fireplace, you may have already noticed a buildup of grimy, oily creosote on the inside of your chimney. Traditionally, there are many uses for the sticky, tar-like substance called creosote that you find in wood. For instance, creosote has been used in medicines, on ships to help seal wooden hulls, and in foods such as liquid smoke. While creosote is a useful substance in some situations, when it is inside your chimney it can become a safety risk. One of the biggest dangers of excessive creosote inside your chimney is the chance of fire. The substance is very flammable and can catch fire if you don’t clean your chimney often enough. Too much creosote will block your chimney, causing smoke to enter your home and your fireplace to become less effective at heating the space. 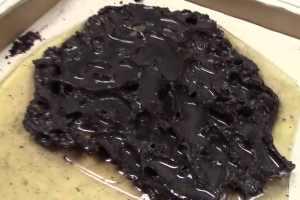 The tar-like substance can also be transformed into a messy liquid that leaks onto nearby floors or into your fire. Removing creosote is the best option for keeping your home and family safe. An annual cleaning is recommended for all homeowners with a wood burning fireplace, but some homeowners may also need a mid-winter cleaning when excessive creosote is present. Your local Dallas chimney sweep can help you keep your fireplace and chimney in proper working order by removing any ash and creosote that have accumulated inside the chimney. Typically, your chimney sweep will begin the cleaning by examining the chimney from inside the home and from the opening on the roof. Traditionally, chimney sweeps used a long brush to scrub the buildup off the inside of the chimney. 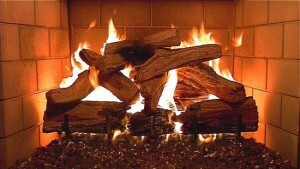 Today, you will find the process of cleaning creosote and ash from your chimney is cleaner and faster than ever before. Modern chimney sweeps rely on tools such as vacuums with HEPA filters to eliminate the risk of messy ash or creosote from entering your home. Your sweep will clean the inside of the fireplace, the damper, and the entire chimney to create a more efficient, safer way to create warmth and ambiance in your home. Contact us today.